In 2008 BMW Group Design unveiled the BMW GINA Light Visionary Model: a concept car with a seamless, flexible, fabric outer shell stretched over a movable substructure, whose functions were only enabled when actually needed. 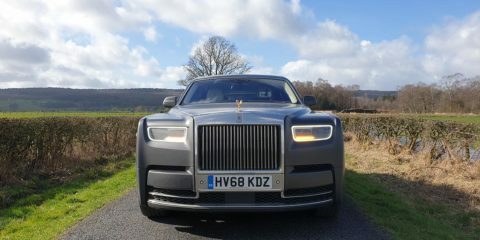 Its interpretation of familiar functional and structural concepts boldly questioned the philosophy of car design. Now GINA has acted as the inspirational force behind a creative collaboration between Designworks and Puma. 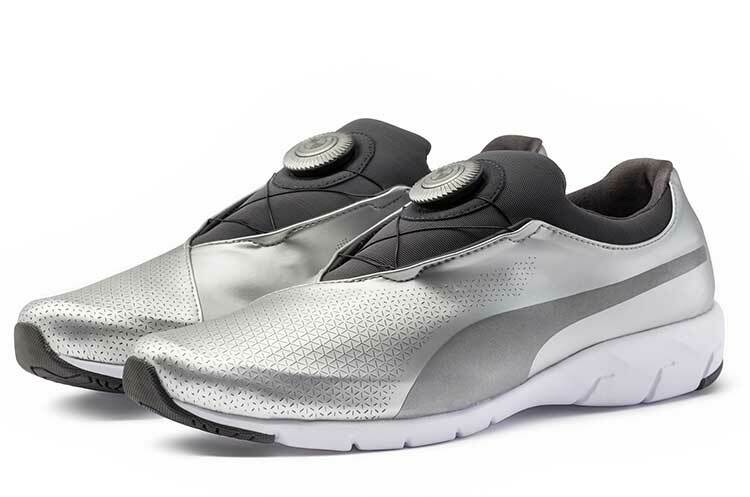 The result is the X-CAT DISC, the latest addition to Puma’s DISC footwear range. 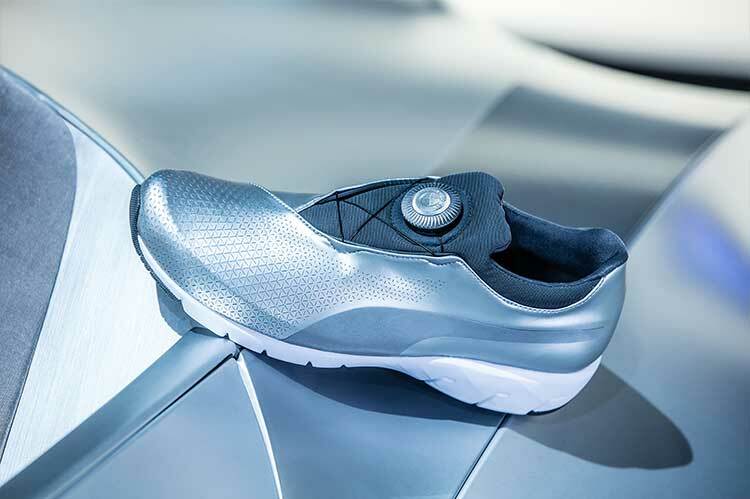 Designworks, a BMW Group subsidiary, provided the link between the partners and was charged with leading the design process in the development of this visionary shoe. “The approach was to look at every aspect of making a shoe and to try and reimagine it. Freeing yourself of what is here now can be an enjoyable and rewarding exercise. Typically, it also speeds up change,” says Adrian van Hooydonk, Senior Vice President BMW Group Design. 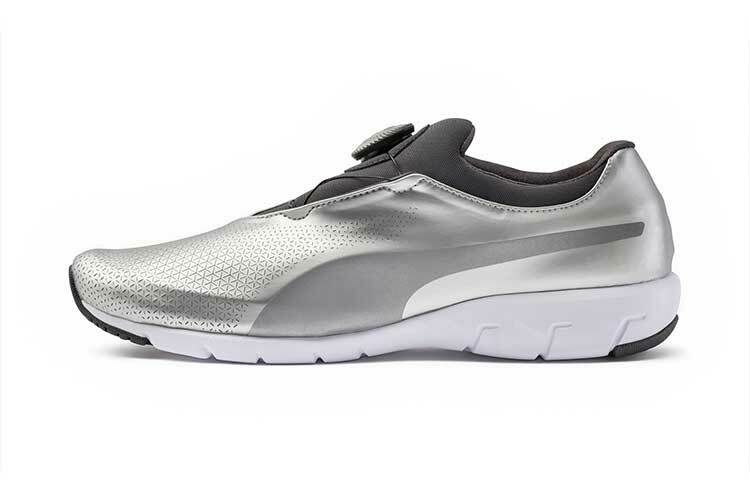 The starting points for this innovative project were the flexible, ergonomic and lightweight GINA material as well as Puma’s reinvented, lighter and faster-working DISC technology. Instead of using laces, this system works with a rotating disc that pulls internal wires to close and open the shoe. Using only one thin layer of stretchable and super-light GINA material, the shoe wraps around the foot like a second skin. Additional seams are no longer necessary and dynamic movement feels very natural. Since a new material not only allows new shapes but also enables a different way of thinking about movement, Designworks embarked on a new approach to motion. “With the X-CAT project, we wanted to unleash the innovative power of BMW and PUMA. We have transformed the essence of the shape-shifting GINA car into a streamlined and elegant shoe,” says Torsten Hochstetter, Global Creative Director at Puma. The X-CAT DISC is about essential character, lightweight design, adaptability and performance. 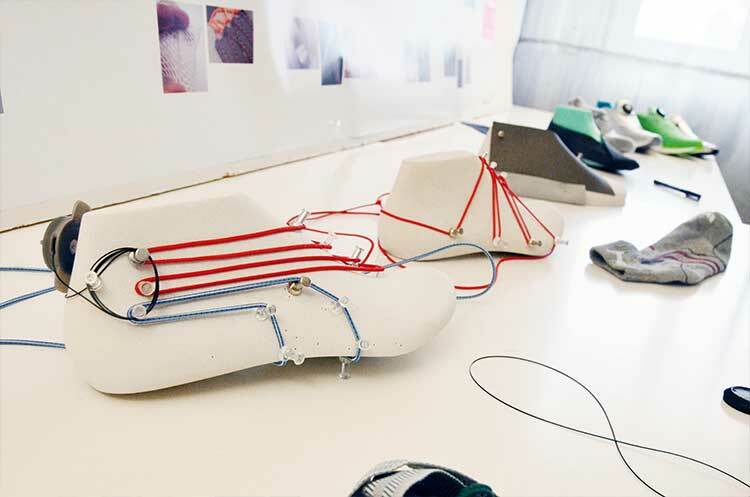 In the spirit of GINA, the designers treated the foot as a kind of chassis in itself. 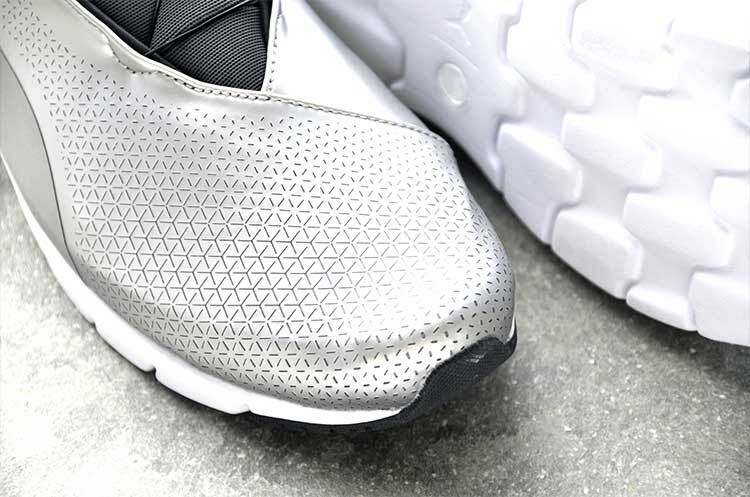 They re-engineered the original automotive material to ensure it was breathable and sufficiently durable to meet the needs of a shoe that wraps around the foot in a single piece. 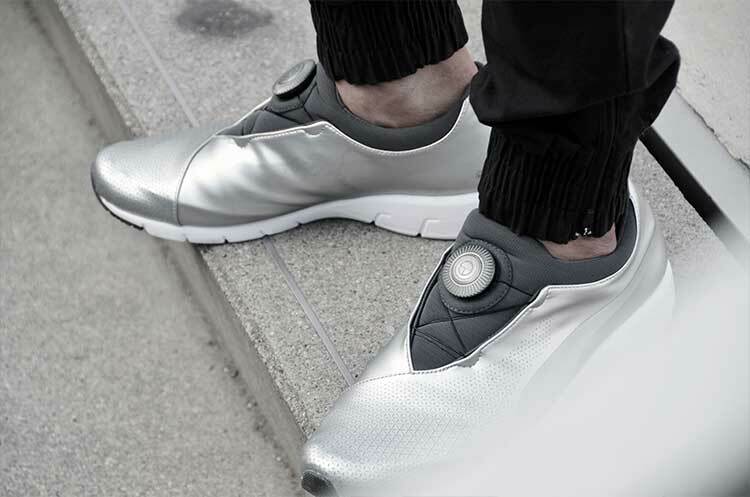 Uniting beauty and performance, they created a light shoe with a very simple design gesture. Automotive design thinking is immediately evident in the proportions that make the material shine – and in the simplicity that prevents it from competing with too many other design features. Fine, laser-cut perforations flow across the front of the X-CAT, underlining the impression of motion while adding ventilation. Another design cue taken from the original GINA concept is the functional aesthetic of revealing the underlying structure when tightening the shoe. The designers also re-thought the concept for the sole and the Puma DISC, applying BMW engineering approaches to add greater precision. 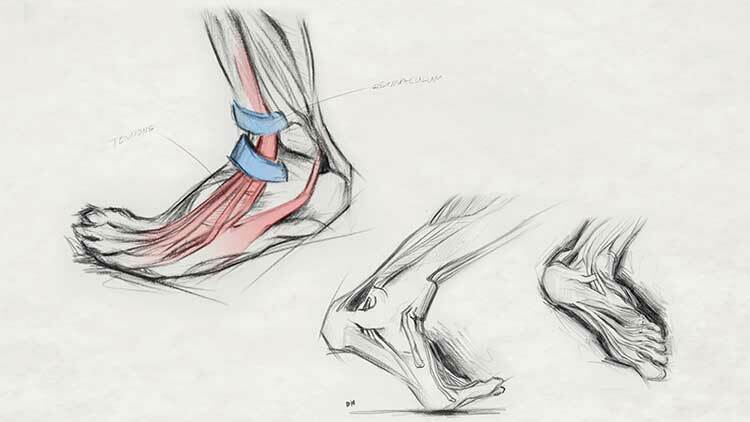 They viewed the sole as the engine of the foot, the driver of movement. 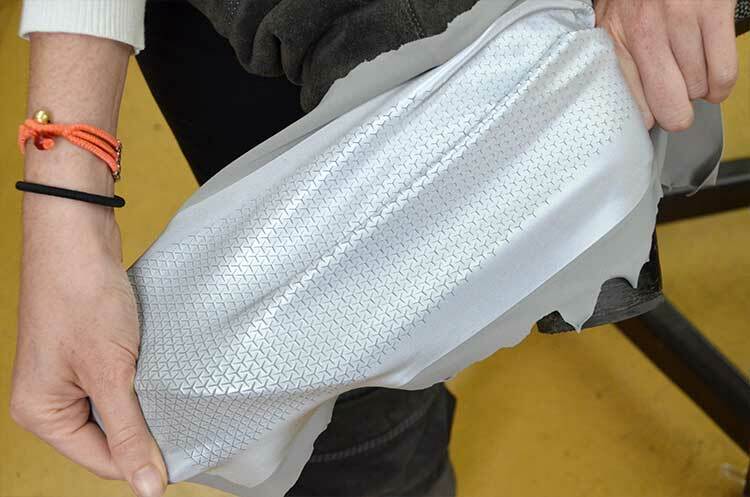 This produced a unique design which was inspired by interconnecting gears and integrates both engineered flexibility and interlinked stability. The BMW X-CAT DISC will be available in selected Puma stores across the world from 1 July 2016. design.